I hope this message finds you and your family in the best of health and spirits as you are receiving a bright New Year. There were many meaningful Moo Do events that took place worldwide throughout the year in 2015. I would like to recognize some of them as we enter the New Year. 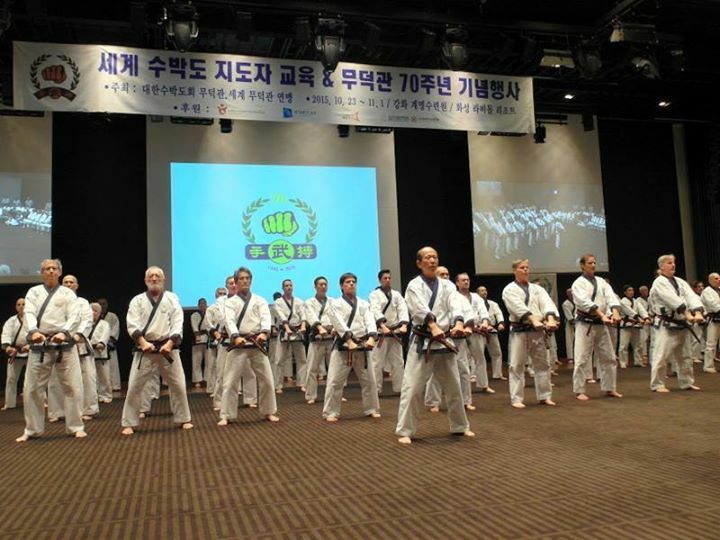 The Moo Duk Kwan 70th year celebration in Korea (October 30th to November 1, 2015) in South Korea: It was a powerful experience to see how the Founder Hwang Kee’s vision (from 1945) has grown over the 70 years since the Moo Duk Kwan inception. Members from different countries gathered at the mother land of the Art and strengthened their old friendships and made new friendships while sharing the same values and pride in the Moo Duk Kwan. It was an experience that strengthened our appreciation for our gift from the Founder and the Moo Duk Kwan patch, that has guided us toward our clear objectives. I invite you to join me in continuing our celebration of the 70th year of the Moo Duk Kwan® with our actions throughout 2016. 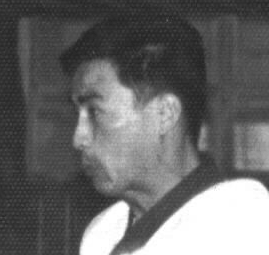 The United States Federation successfully protected the identity of Moo Duk Kwan® which was built 70 years ago by the Founder Hwang Kee. The verdict and judgment was filed in favor of the plaintiff, the US Federation. This stands as an example that the US Federation will defend against trademark infringers as they have over the past 40 years, and they will prevail as they have in all cases. This action and verdict is a victory for all WMDK organizations and sends a clear message to those who infringe upon the intellectual property rights of others. 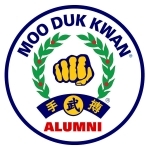 I hope all Moo Duk Kwan® Alumni embrace the spirit of “Only One Moo Duk Kwan” by recognizing the rich history of the Moo Duk Kwan. Our unity will strengthen our Moo Duk Kwan identity for all practitioners. Recognition of leaders who were great supporters for PVT II: Your Vision Tour (PVTII) was greatly inspiring, motivating, and supported the transition of our young leaders into roles that are important to the preservation of our art and the future of the Moo Duk Kwan. 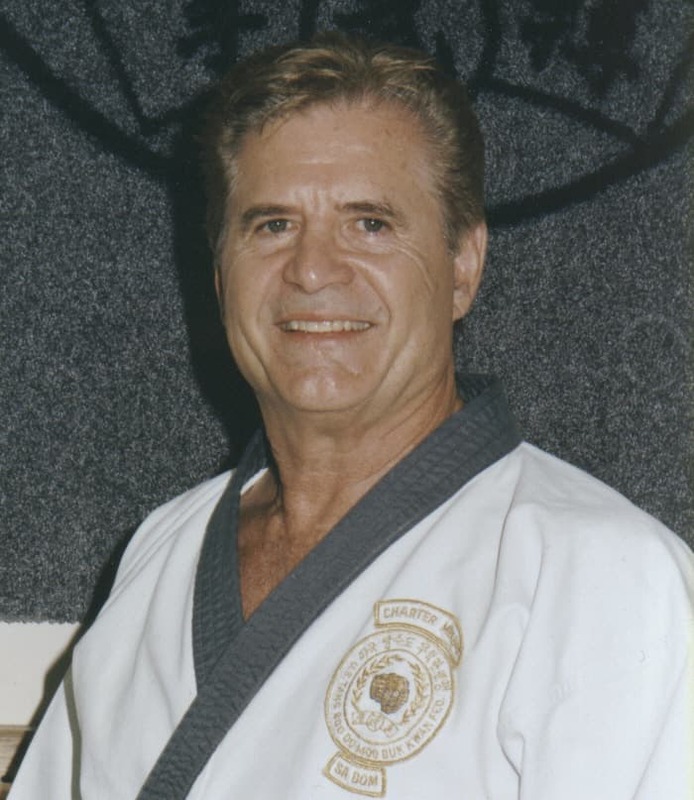 Vic Martinov (Dan Bon 10189) who was a role model for anyone wishing to be a true Martial Artist and to understand the value of “Neh Ghang Weh Yu”. He understood the Moo Do and its application in life. He further shared himself by Action as well as great stories with others. He is my friend. Jong Kuk Hong (Dan Bon 15856) who I met mid 1960s in Korea and had served the Art. 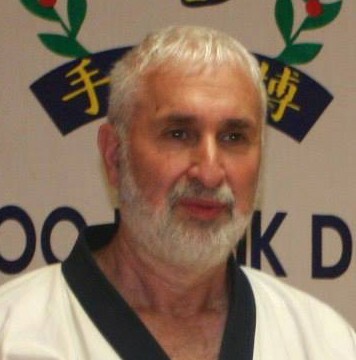 He shared many stories of the Moo Duk Kwan with his students. Jack Helfgott (Dan Bon 26104) who studied at the Springfield Headquarters Do-Jang on September 1980 with me. He was a great leader for youngsters through his teaching career as well as volunteer for whoever needs help and support. Carlos Schiavo (Dan Bon 34642) who was an excellent practitioner and was a role model for youngsters in Argentina. 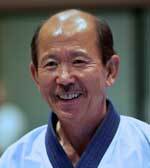 I have fond memories of training and personal time with him during his 5th Dan testing in Buenos Aires in 2014. These dedicated practitioners passed in 2015. 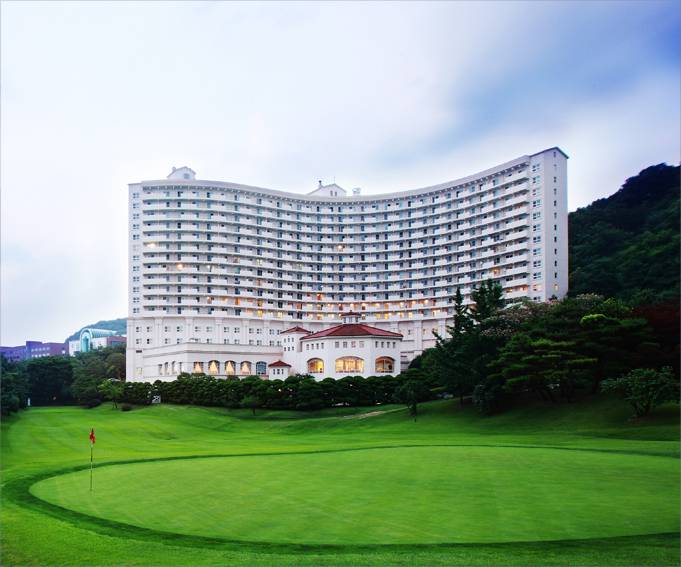 They will be remembered in the Moo Duk Kwan history as well as in our Vision Tour stories. They were great contributors for the PVT II efforts and supporting our future young leaders. I am looking forward to your continuing participation in your Vision Tour and your support of our future leaders in 2016. Finally, I would like to recognize and celebrate the Moo Duk Kwan standardization worldwide. We had very little time to rehearse for the 70th Demonstrations and we also encountered some technical and administrative challenges during our preparations; however, all participants felt good about the demonstrations and received positive feed back from the audience, especially from the other Martial arts practitioners who were in attendance. Moo Duk Kwan® standardization worldwide was the key element for the grand success of the 70th Demonstrations. I am proud to be associated with this process. Thanks to the Founder’s teaching, his vision and the support of Moo Duk Kwan practitioners worldwide, the success of the 70th celebration was made possible. My family and I thank you and your family for the meaningful 2015. We are looking forward the 2016 with your active participation. We trust you and your family had good holiday season and wish the best for the Happy New Year!